Jesus' first two disciples were originally disciples of John the Baptist. John the Baptist directed Andrew and his brother, Simon who became Peter, to Jesus. 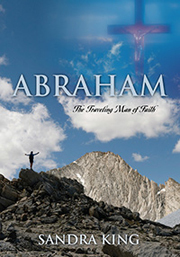 Andrew believed John the Baptist when he pointed to Jesus and said He was the Lamb of God. Andrew then led his brother Peter to Christ. It is interesting to note that Andrew pretty much stepped aside and let his brother Peter be the leader of the twelve chosen disciples of Jesus and the early Church. Disciple is the Hebrew word talmidim. It means student. Rabbis were commissioned to make disciples. They would choose young men to be taught by them not just through their teaching of the Word of God but also by their life-example in living out the Word of God. Being a rabbi was an honorable and esteemed position. As they traveled from village to village, people would open their homes and hearts to them. It was also an honor to have a rabbi stay at your home. Many young Jewish boys were hopeful that one day they would be chosen to be a disciple of their favorite rabbi. This would be a great honor. These disciples would leave their family, home and community to follow this master rabbi. The family and community would rally around this young disciple and encourage him. The young man would choose the rabbi they wanted to be schooled by. To be a disciple of a master rabbi would be an honor and a privilege. Young Jewish boys would spend hours memorizing books of the Older Testament. Then they would approach their favorite rabbi praying that they would see how hard they had worked and their commitment to memorizing scripture, and choose them to be their disciple. The young man would then have many years of studying under the rabbi before he could be one. Jesus, the Supreme Rabbi (Teacher) who is God, did just the opposite. He chose His first disciples without even knowing them or knowing whether they had any wisdom or knowledge of God, His Word or His ways. Jesus' disciples in no way merited their chosenness, just as Israel and the Older Testament prophets, priests and kings didn't merit their chosenness, nor does Christ's Body. Jesus chose His disciples without regard for their status or biblical knowledge. They didn't earn His approval. Jesus said to His disciples in John 15:16, “You did not choose Me, but I chose you and appointed you to go and bear fruit – fruit that will last.” There was a purpose for His disciples being chosen by Him. They were to bear fruit. Not only are they to bear fruit, Jesus goes on to say that they will be persecuted and hated for His sake. Billy Graham once said, “salvation is free but discipleship costs you everything you have.” The difference between the Jewish rabbis of the day and Jesus is that Jesus is not only a teacher of the truth, He is the Truth. And, no one that Jesus chose could prove their worthiness. Jesus merely said, “Follow Me.” To follow Jesus meant that they must leave everything. Jesus chose His disciples but they had a choice to make – whether to go with Him or not. Before disciples could be made in the days of the first century, there was first a need for master teachers. These master teachers would have disciples they would raise up to be disciples and hopefully master teachers as well. Hillel and Shammai were master rabbis in biblical times, and they had many opposing views. If a master rabbi was prestigious enough, he had smikah -- great authority -- and could give a new interpretation to a scripture. Rabbis would quote from these master rabbis to establish authority to their message. Jesus who is even greater than any master rabbi also gave new interpretations of scripture and even added to the Older Testament understanding of scripture. Jesus could do this because He is God! A rabbi would be a mentor to his students. The students would sit in a circle around their rabbi and learn from him. Often, the rabbi and his students would be out in the open in a field, in a vineyard, someone's home or in the portico of the temple. The scriptures and their life application would be passed down to the disciples by their master teacher. The disciple would walk with God by living out the teachings of God and his rabbi in his life. A Jewish sage called a rabbi was known to be able to answer any questions on any area of the Older Testament scriptures. These master teachers were not always accurate in their understanding of scripture because they are human who only see dimly. Mankind, no matter how much truth they know, will always have flawed truth. We are the finite trying to understand the truth and ways of the infinite mind of God. The Eternal Word of God who is all Truth came to earth to make disciples and teach them the Truth. Jesus could teach pure Truth because He is Truth. Jesus came to the earth not only to save but to also teach pure Truth and correct the distortions of God and His Word that had infiltrated Truth. He is high above even the master rabbis of biblical times. Jesus taught His disciples in the same manner the rabbis of His day did. He wanted His disciples to live out the teachings of their Master (Lord). When Jesus said, “Come, follow Me,” it would require sacrifice, full commitment, hard work and risk. Jesus and His Kingdom must be put first in their lives. (see Luke 14:25) When told that His mother and brothers were outside, Jesus responded, “Who are My mother and My brothers?” Then He looked at those seated in a circle around Him and said, “Here are My mother and My brothers! Whoever does God's will is My brother and sister and mother.” Jesus, the Supreme Rabbi (Teacher), was talking to His disciples who were seated in a circle around Him. They were learning from Jesus and then applying what He taught to their lives. Jesus was born to an earthly mother and had earthly brothers, but His true and everlasting family was His spiritual family who did the Father's will. Jesus like the rabbis of old also taught in vineyards, fields, on mountains, in synagogues and in the portico outside the Temple. Wherever Jesus walked, He taught the ways and will of His Heavenly Father. He might have been in a vineyard when He said, “I am the Vine; you are the branches.” John 15:5 Jesus could have been near the sea of Galilee where the fishermen were emptying and cleansing their nets when He spoke the parable of the Net. (see Matthew 13:47-50) Perhaps a farmer was sowing seed in a field when He told the parable of the Sower. Jesus may have been in a wheat field when He taught about the wheat and the weeds. (Matthew 13:24-30) His disciples would have a visible image in the natural of the supernatural truth Jesus was teaching them.